With recent cardiovascular outcome trial (CVOT) results for antihyperglycemic medications, the treatment algorithm for patients with type 2 diabetes (T2DM) and atherosclerotic vascular disease (ASCVD) requires revision. All completed CVOTs have demonstrated CV safety of the tested medications, with some trials demonstrating CV efficacy. While metformin remains the first-line recommended medication for T2DM, 18–37% of the patients enrolled in the completed CVOTs were not treated with metformin, providing substantial power to assess CV outcomes independent of metformin. The safety and tolerability of metformin are indisputable, but there are no robust data proving its efficacy for either macro or microvascular disease outcomes. We should reconsider the primacy of metformin in the management of T2DM in patients with ASCVD. This article will review the evidence for CV effects of antihyperglycemic agents (AHAs), and propose an evidence-based treatment algorithm for patients with T2DM and ASCVD. Josephine L. Harrington, Natalia de Albuquerque Rocha, and Kershaw V. Patel declare that they have no conflict of interest. Subodh Verma has received support from Amgen, AstraZeneca, Boehringer-Ingelheim, Eli Lilly, Janssen, Merck, Novartis, Novo Nordisk, and Sanofi. Darren K. McGuire has received support for clinical trial leadership from AstraZeneca, Sanofi Aventis, Janssen, Boehringer Ingelheim, Merck & Co, Novo Nordisk, Lexicon, Eisai, GlaxoSmithKline, Esperion; and honoraria for consultancy from AstraZeneca, Sanofi Aventis, Lilly US, Boehringer Ingelheim, Merck & Co, Pfizer, Metavant, and Novo Nordisk. National Diabetes Statistics Report. | Data & Statistics | Diabetes | CDC. https://www.cdc.gov/diabetes/data/statistics/statistics-report.html. Accessed 24 Mar 2018. Roglic G, World Health Organization Global report on diabetes. World Health Organization, Geneva, Switzerland. http://www.who.int/diabetes/global-report/en/. Accessed 24 Mar 3018. • AACE/ACE Comprehensive Type 2 Diabetes Management Algorithm 2018. In: Am. Assoc. Clin. Endocrinol. https://www.aace.com/publications/algorithm. Accessed 2 Apr 2018 Current Guidelines on T2DM management by the American Association of Endocrinologists and American College of Endocrinology. • International Diabetes Federation. Global Guideline for Type 2 Diabetes. https://www.idf.org/e-library/guidelines/79-global-guideline-for-type-2-diabetes. 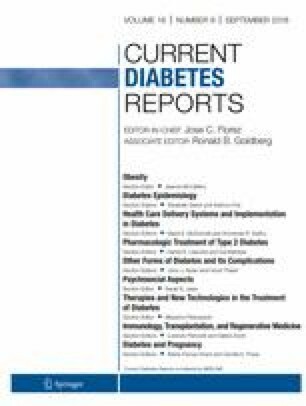 Accessed 6 Apr 2018 Current Guidelines on T2DM management by the International Diabetes Federation. • Diabetes Canada | Clinical Practice Guidelines - 2018 Full Guidelines. http://guidelines.diabetes.ca/fullguidelines. Accessed 9 May 2018. Current guidelines on T2DM management by Diabetes Canada. U.S. Food and Drug Administration. FDA Drug Safety Communication: FDA revises warnings regarding use of the diabetes medicine metformin in certain patients with reduced kidney function. https://www.fda.gov/Drugs/DrugSafety/ucm493244.htm. Accessed 26 Apr 2018.
WHO | WHO Model Lists of Essential Medicines. In: WHO. http://www.who.int/medicines/publications/essentialmedicines/en/. Accessed 27 Apr 2018. Standards of Medical Care in Diabetes | American Diabetes Association. https://professional.diabetes.org/content-page/standards-medical-care-diabetes. Accessed 9 May 2018. Crowley MJ, Williams JW, Kosinski AS, D’Alessio DA, Buse JB. Metformin use may moderate the effect of DPP-4 inhibitors on cardiovascular outcomes. Diabetes Care. 2017; https://doi.org/10.2337/dc17-1528. U.S. Food and Drug Administration. FDA approves Jardiance to reduce cardiovascular death in adults with type 2 diabetes. https://www.fda.gov/NewsEvents/Newsroom/PressAnnouncements/ucm531517.htm. Accessed 31 Mar 2018. Schnell O, Standl E, Catrinoiu D, Genovese S, Lalic N, Skra J, et al. Report from the 1st cardiovascular outcome trial (CVOT) summit of the Diabetes & Cardiovascular Disease (D&CVD) EASD Study Group. Cardiovasc Diabetol. 2016; https://doi.org/10.1186/s12933-016-0357-x. Study to evaluate the effect of dapagliflozin on the incidence of worsening heart failure or cardiovascular death in patients with chronic heart failure - full text view - ClinicalTrials.gov. https://clinicaltrials.gov/ct2/show/NCT03036124. Accessed 10 May 2018.